Walter Lee “Buddy” Duke, PA-C joined the ABC Pediatrics’ healthcare team in September, 2017. Buddy is originally from Conway, NC. He graduated from East Carolina University with a Bachelor of Science degree in Exercise Physiology. He completed his Physician Assistant training at Campbell University and graduated in 2016 with a Master of Physician Assistant Practice. Buddy’s healthcare career began as a pharmacy technician in a local community pharmacy close to his hometown. Later, as an undergraduate student at East Carolina University, he volunteered to participate in a research study working with overweight teenagers. It was during this experience that he came to appreciate just how rewarding it is to provide health care service to the children and young adults of our community. 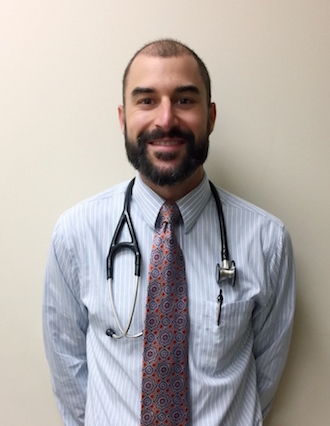 He is now extremely excited to begin caring for pediatric patients and to put to use his knowledge and training acquired from the faculty at Campbell University, and his own life experiences, by establishing relationships with our local pediatric community! Buddy is now accepting patients at ABC Pediatrics. Call and ask Bridget to schedule an appointment with Buddy for your child at 910.892.1333.